WASHINGTON -- The Commerce Department says the 2020 U.S. Census will include a question about citizenship status, a move that brought a rapid response by opponents. Commerce says in a press release issued Monday night that the citizenship data will help the Justice Department enforce the Voting Rights Act, which protects minority voting rights. But opponents say the question will discourage immigrants from responding to the census. A coalition of state attorneys general urged the Commerce Department last month to not add such a question, saying it could lower participation among immigrants and cause a population undercount. 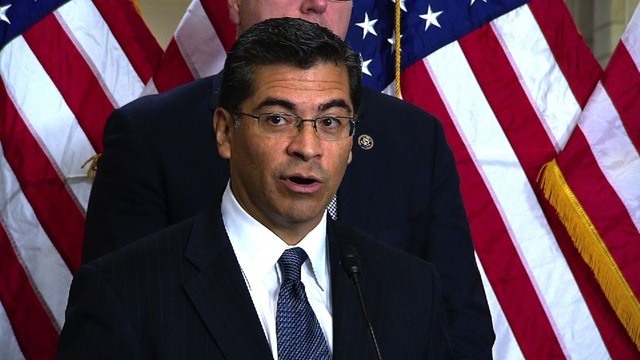 California Attorney General Xavier Becerra said the state will sue the Trump Administration over its addition of the question to the 2020 Census. "We're prepared to do what we must to protect California from a deficient Census," he said. "Including a citizenship question on the 2020 census is not just a bad idea - it is illegal." The Reuters news agency reports court documents show California has filed suit. And Buzzfeed reports that Eric Holder, who was U.S. Attorney General under President Obama and now heads the National Democratic Redistricting Committee, issued a statement saying the group will sue, as well. Holder calls the inclusion of the citizenship question "a direct attack on our representative democracy." Mr. Obama is a key supporter of the NDRC, which is battling against what it says has been rampant gerrymandering by Republicans nationwide. The NDRC says the citizenship question "will lower the response rate and undermine the accuracy of the count, leading to devastating, decade-long impacts on voting rights and the distribution of billions of dollars in federal funding.